The Time Maker offers 11 delay types, a user friendly layout, two footswitches & preset storage capacity packed into a slim shell. 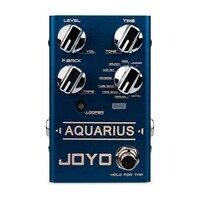 Powered by standard 9V DC and 32bit floating point processing, a more reliable delay pedal cannot be found at such a price. 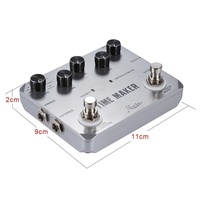 The Time Maker offers 11 delay types, a user friendly control layout, two footswitches and preset storage capacity all packed into a slim zinc alloy shell. 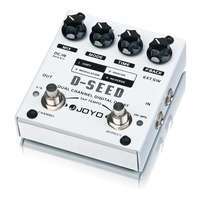 Powered by standard 9V DC and 32bit floating point digital processing, a more reliable, tonally flexible and great sounding pedal cannot be found at such a competitive price point. The LTD02 features 11 different delay algorithms, some analog feeling emulations, some digital, and some just weird! Sounds include Pure, Analog, Tape, Mod, Lofo, Reverse, Reverse Tape, Pitch, Tremolo, Tube and Ping Pong. 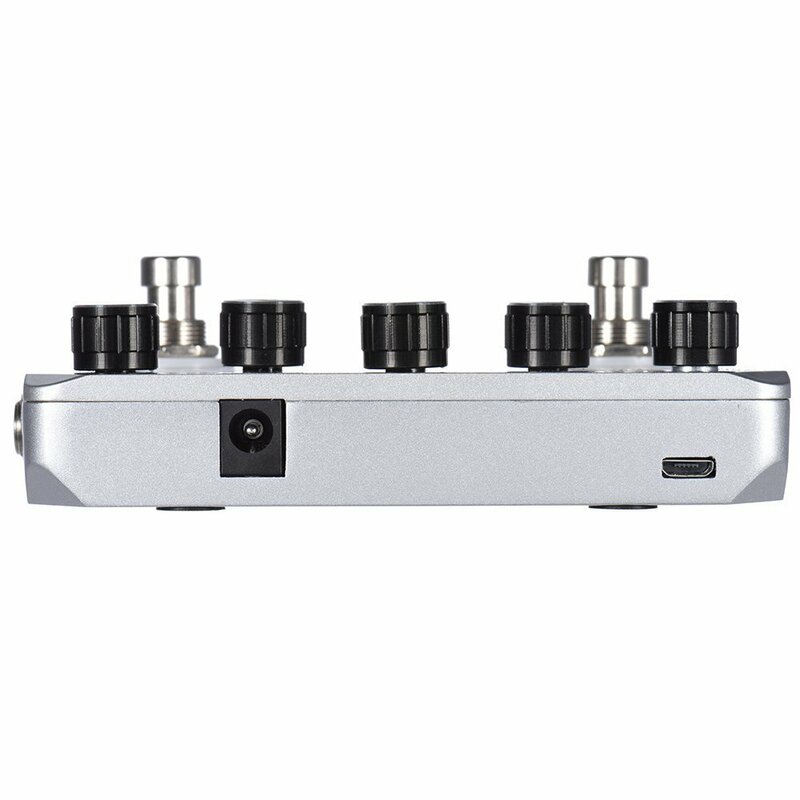 All of these effects can operate in stereo mode which adds an extra statial dimension to the sound, particularly for the Ping Pong and Mod type settings. Each setting also has its own unique variable effects parameter which can be adjusted with the FX knob. To see which FX correspond to each preset, see page 5 of the manual. 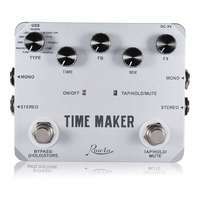 Time maker features standard controls that will be familiar to a seasoned delay user or easy to pick up for a beginner. These are Type, Time, Feedback (FB) Mix and Effects (FX). 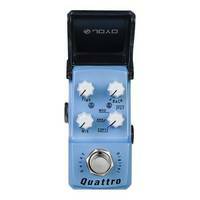 The Type knob allows you to quickly select the delay you desire. 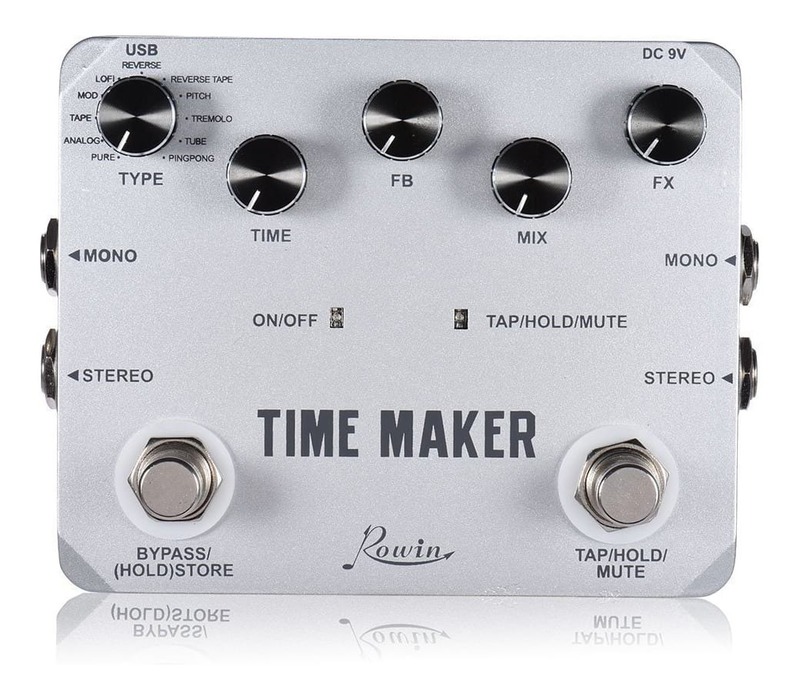 The delay speed can be adjusted using the Time knob and Feedback controls how long the delays last. 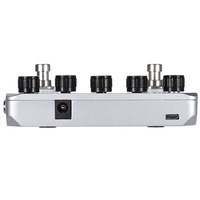 Mix controls the ratio of your dry signal (input) against the effect's tone. The FX knob acts in response to the selected effect, i.e. 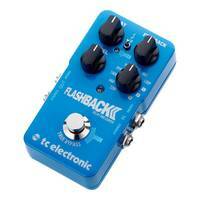 tone/speed/sample rate/overdrive/pitch. 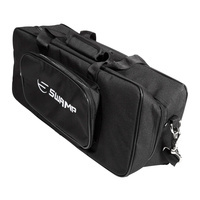 Having a second footswitch allows for greater convenience and functionality i.e. 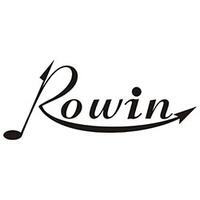 avoiding too many tedious "press and holds" and "double taps". In Tap Tempo mode, pressing the right switch once initiates the timing counter, and another single press ends the time counter. 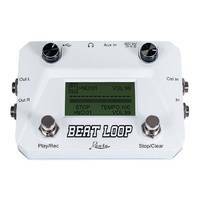 This allows you to manually set the delay time to your exact requirement without having to adjust the Time knob with your hands. In Hold mode, delay playback is recorded and looped until you deactivate it, great for "freeze" effects and ambient layering. In Mute mode, the recording is cleared and you can start fresh. The compact inner circuitry is designed with 3PDT true bypass switches ensuring an unaltered tone when the pedal is not engaged. 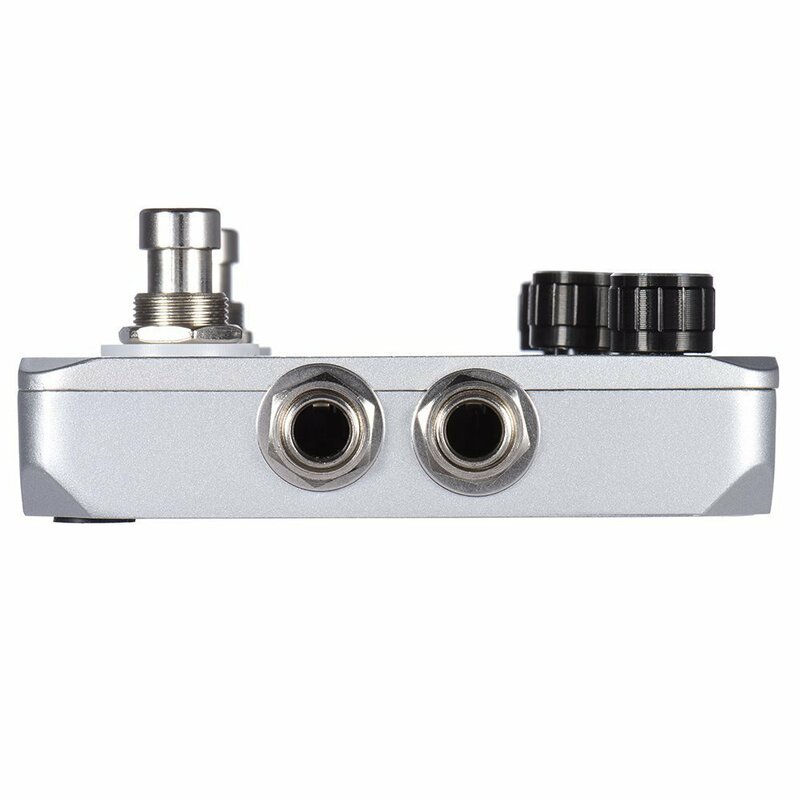 A true bypass switch has the ability perform a true bypass of the internal hardware circuit of the pedal, meaning the signal goes straight from the IN to the OUT.